Enter the name of the folder you are searching for here. Filters the folder list based on the search term. Enter * to list all folders. 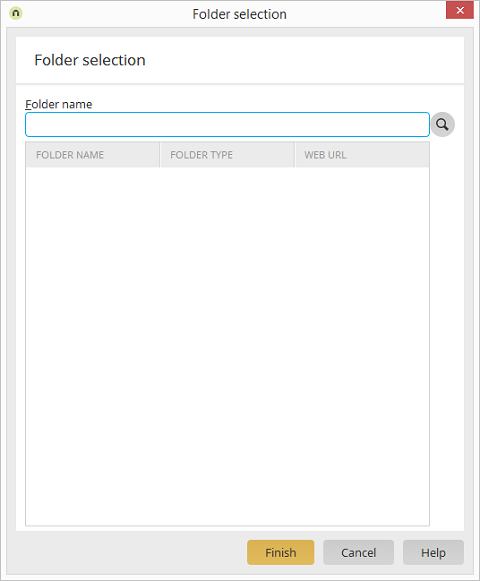 If the field is left blank, the root folders will be displayed (corresponds to a search for "root"). Entries with characters that are not permitted will be shown in red; the search button is deactivated in this case.